Whether you are moving and need to remove your hot tub, or you are building up your up outdoor space and want to replace you old one, you can trust Phoenix Junk Hauling to be your Phoenix, AZ area junk hauling experts. ​We strive to provide the most comprehensive hot tub hauling solutions. Selecting a qualified furniture removal contractor can seem like a daunting task. We understand the importance of getting your home furniture hauling job taken care of quickly. Our passion for bringing aesthetic appeal to any residential property is evident in our innovative furniture removal techniques. No matter what your hot tub hauling needs, we have got you covered. Our crew goes the extra mile to ensure that every home has a beautiful, functional hot tub. We love what we do, do what we love, and have a stellar reputation that backs this approach. Regardless of the reason you need to get your hot tub off your property, we take every job to heart. Our team possesses an underlying dedication to provide our customers with high-quality workmanship. We want you to feel safe leaving your hot tub removal project in our capable hands. Our crew takes quality very seriously in all that we do. Whether we are removing your hot tub, or you need to get any other furniture items out of your home, your property is our property. Offering removal services for a wide variety of furniture, we commit ourselves to doing honest work at a fair price. If your hot tub is looking worn and old, call us to get rid of it. We are ready for any size spa removal project. Our philosophy is do it once, and do it right. We are passionate about furniture removal or junk hauling. It is hard and demanding work. Our company is well-known for affordability and dependability. 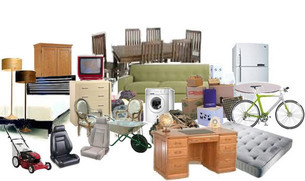 We take pride in offering a huge array of furniture and trash hauling services for homes and businesses. The standard we have typically goes beyond what you expect. Over time, this methodology has served us and our customers well. We believe in what we do, and if we are going to do a job, we do it the right way. Our whole staff is trained to ensure the interests of our customers come first. We are devoted to the satisfaction of our customers and accountability within our staff is of the utmost importance of our organization. 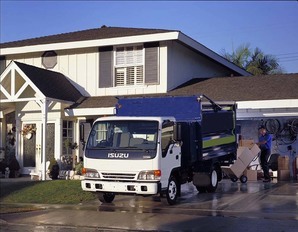 If you want to bring beauty and cleanliness to your property, contact Phoenix Junk Hauling.